The UK’s minister for Africa says she has summoned Zimbabwe’s ambassador to discuss the country’s growing crisis and “disturbing reports of use of live ammunition, intimidation and excessive force” against protesters. Harriett Baldwin’s statement notes the deaths of several people this week during a nationwide stay-at-home action protesting a dramatic rise in fuel prices. She says that “we are deeply concerned that Zimbabwe’s security forces have acted disproportionately in response” to actions such as arson and looting. Baldwin says Britain urges Zimbabwe to reign in its security forces and restore full internet service for people’s freedom of expression. 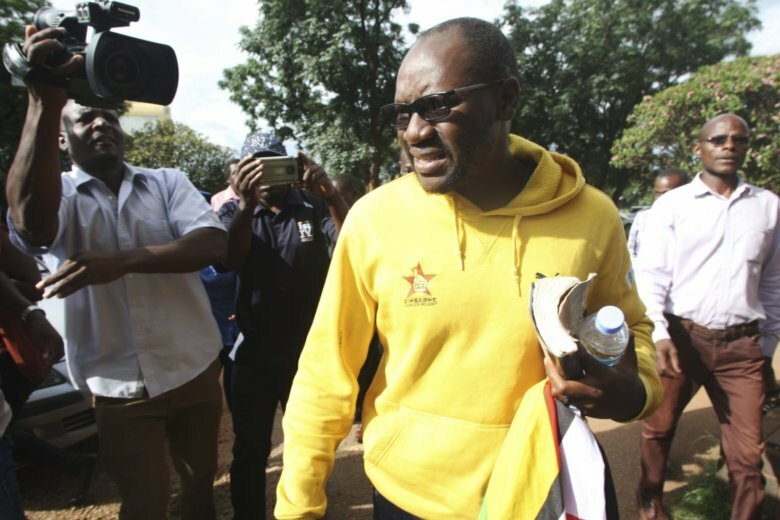 The Zimbabwe pastor and activist facing a charge of subversion has arrived at court and says the country’s new government is behaving like that of former longtime leader Robert Mugabe. Evan Mawarire faces 20 years in prison if convicted. He is among more than 600 people arrested this week amid protests against the government’s dramatic fuel price increase. Gasoline in the economically shattered country is now the most expensive in the world. Mawarire told reporters asking about his treatment by police: “Not very good. I could be better.” The United States and others have warned against Zimbabwean security forces targeting activists for beatings. A Zimbabwe lawyers’ group says a prominent pastor and activist has been charged with subverting a constitutional government amid a crackdown on protests against a dramatic fuel price increase. Zimbabwe Lawyers for Human Rights says in a statement that police have added the new charge against Evan Mawarire, who is among the more than 600 people arrested this week. Mawarire, who famously launched a campaign that led to nationwide anti-government protests in 2016, already faced a charge of inciting violence. The unrest in Zimbabwe is the most serious since deadly post-election violence in August and poses a major challenge for President Emmerson Mnangagwa, who has failed to deliver on promises to revive the collapsed economy. The U.S. Embassy in Zimbabwe says it is “alarmed” by credible reports that security forces are targeting and beating activists and labor leaders. A local doctors’ rights group says it has treated 68 gunshot cases.